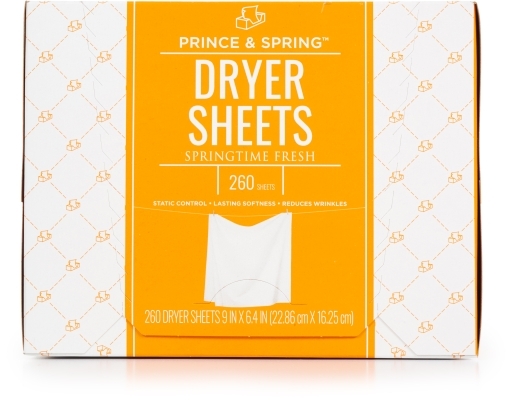 Bring the fresh, exhilarating smell of Spring into your laundry room with Prince & Spring Dryer Sheets. 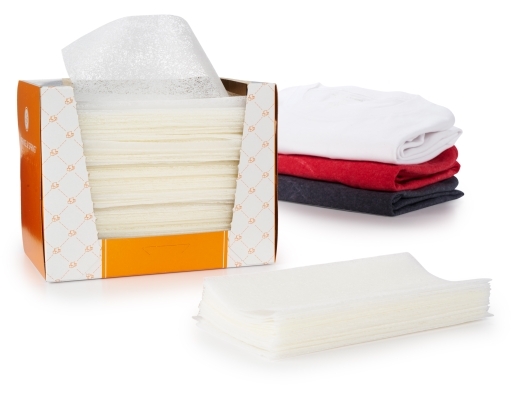 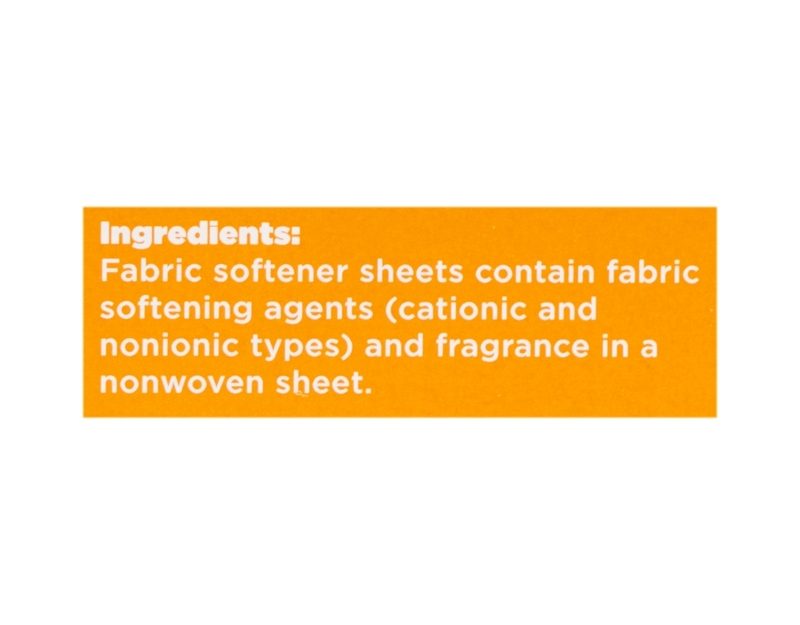 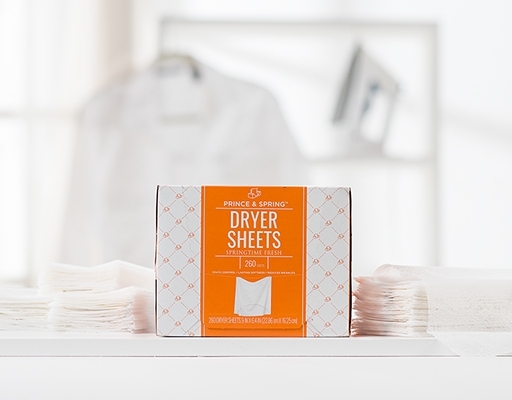 Toss one into the dryer to add lasting softness, control annoying static cling and reduce unwanted wrinkles. 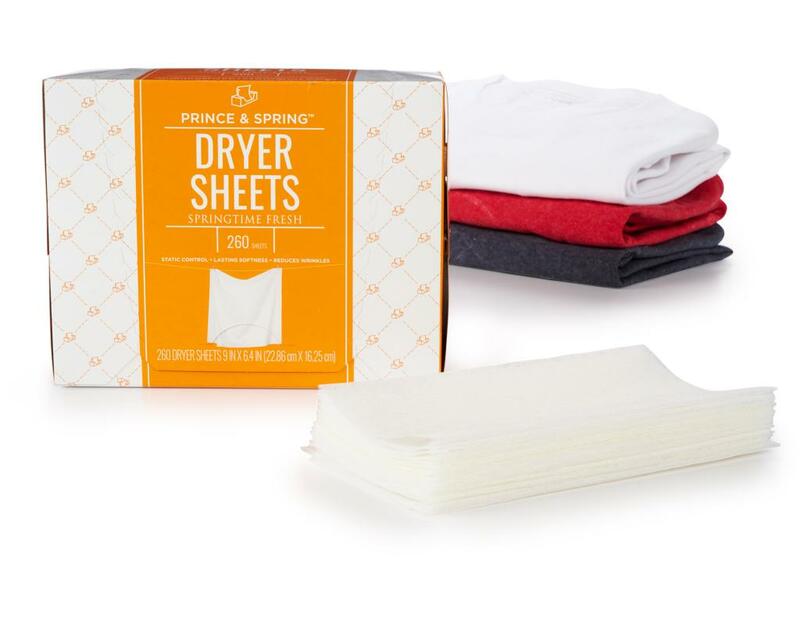 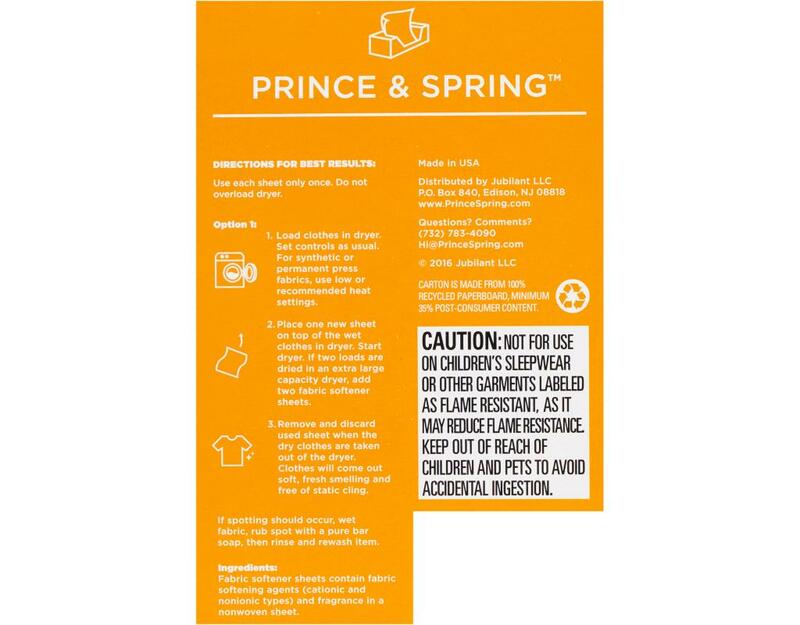 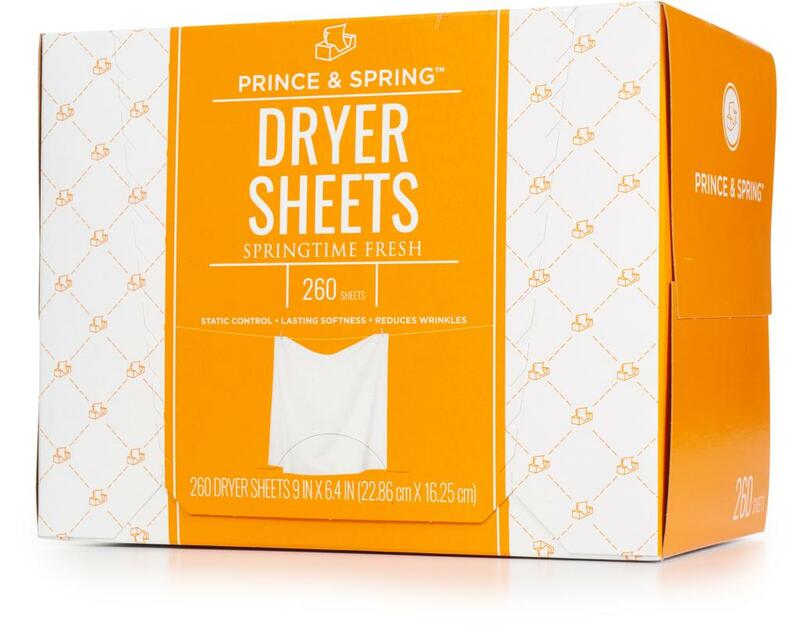 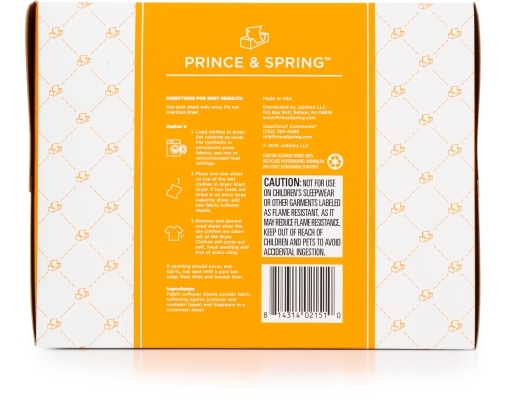 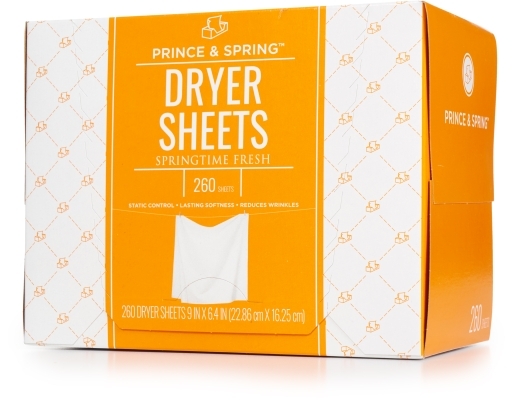 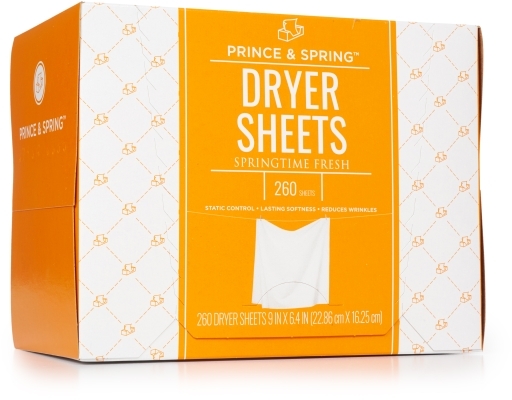 Prince & Spring Dryer Sheets will leave your clothes feeling like they just got pulled off the clothesline and smelling fresh as a daisy. 260 Sheets | 9 in. 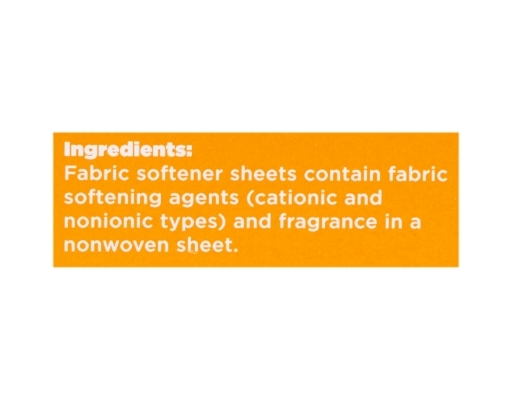 x 6.4 in.